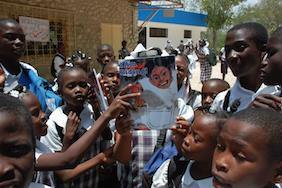 “The children and their LitClub Leaders were so excited to see books in Haitian Creole. We read aloud the trilingual I AM RIDING by MJ (Michele Jessica Fievre), illustrated by Jean Patrick Icart-Pierre” (LitWorld website). 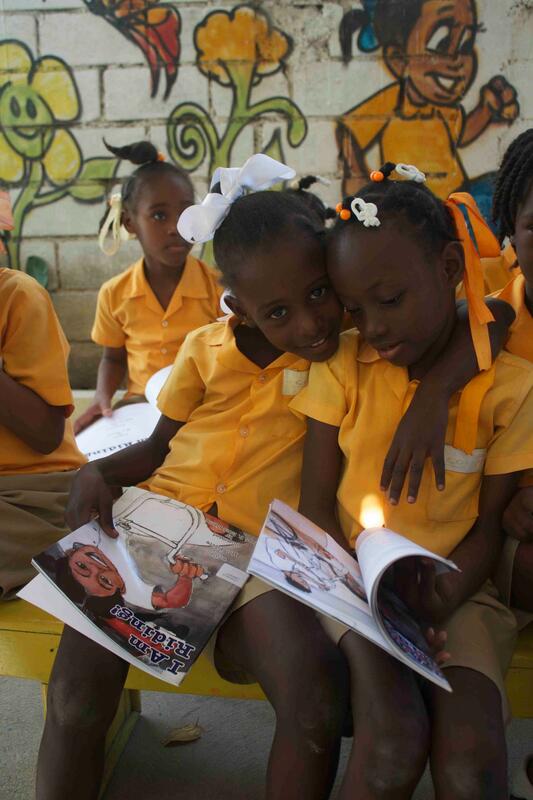 “We were excited to see our books in the hands of Haitian schoolchildren this week, and so we thought to catch up with one of the writers of these titles, M. J. Fievre” (One Moore Book website). Meet Jean-Patrick Icart Pierre, illustrator of I AM RIDING!, the picture book I authored for One Moore Book. “This Haitian-born artist, educator and OMB illustrator has called Brooklyn home for the past several decades. We found his answers as poetic and profound as his artwork” (One Moore Book website). 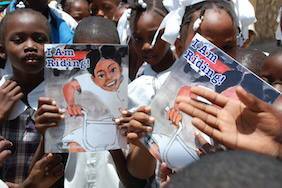 In these pictures, provided by my friend Marge Reid, children of the Village of Hope School in Haiti are excited to read I AM RIDING! Writer M.J.Fievre and illustrator Jean Patrick Icart-Pierre team up for this fun-filled TRILINGUAL (English, French, Kreyol) story about a girl’s first time riding a bike.